"I See the Light" is the love theme from Disney's 2010 animated feature film, Tangled. It was written by composer Alan Menken and lyricist Glenn Slater. A duet, the song was recorded by American singer and actress Mandy Moore and American actor Zachary Levi in their co-starring film roles as Rapunzel and Flynn Rider. "I See the Light" is a down-tempo love ballad that combines elements of folk, musical theatre and pop music. Its lyrics describe how Rapunzel and Flynn feel about each other, knowing now that they have found each other, they can finally "see the light." "I See the Light" was nominated for an Academy Award for Best Original Song at the 83rd Academy Awards in 2011, becoming composer Alan Menken's fourteenth nomination in the category, but lost to Randy Newman's "We Belong Together" from Disney/Pixar's Toy Story 3. The song won a Grammy Award for Best Song Written For Visual Media as well as Best Song at the Las Vegas Film Critics Society. Renditions of the song can be heard in Disney Dreams!, Mickey's Soundsational Parade and The Magic, the Memories and You, and Celebrate the Magic. 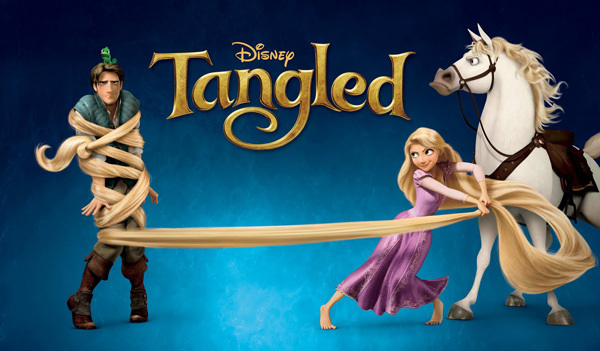 Disney's Tangled is a story of adventure, heart, humor and hair - lots of hair. The soundtrack matches the fun & adventure of the film, with original songs and score from legendary, 8-time Academy Awardae-winning composer Alan Menken and Tonyae and Grammyae nominee Glenn Slater. Features Mandy Moore singing on several of the songs, and Grace Potter performing her hit Something That I Want. Also includes: Healing Incantation - I See the Light - I've Got a Dream - Mother Knows Best - and When Will My Life Begin, plus a stunning section of full-color art! 12 vocal/piano arrangements of Jackie's beautiful interpretations of movie favorites - all in the keys in which she sings them. Songlist: Can You Feel the Love Tonight?, Come What May, I See the Light, The Music of the Night, My Heart Will Go On, Pure Imagination, Reflection, Se, Some Enchanted Evening, The Summer Knows, What a Wonderful World, When I Fall in Love. 50 songs are featured in this third edition of an outstanding collection of Disney favorites. 35 classic and contemporary Disney songs arranged specifically for teen singers. Now available in an SSA voicing! Nominated for an Academy Award, this ballad from the Disney animated film Tangled is simply gorgeous! Choirs of all levels will want to perform this lovely song, with music by Alan Menken, lyrics by Glenn Slater and wonderfully performed in the film by Mandy Moore and Zachary Levi.